Shocking research from the Law Society of England & Wales reveals that 64% of Brits over 55 have NOT made a UK Will, meaning they are leaving a "financial and emotional mess" for their loved ones to sort out. Most people with property or assets in the UK will want to ensure that their loved ones inherit their assets. We look briefly at what happens when you don't write a Will, as well as some of the reasons why people can’t bring themselves to write one. With the majority of Britons not having written a Will, there is a very high chance that their final legacy to their family and loved ones will be chaotic and potentially expensive. The Law Society found that £8m went to the UK government last year just because people had not made a Will. The survey also found that 23% of respondents believed that without a Will, their possessions would automatically go to their family. In October 2014, the rules of intestacy (dying without making a valid Will) changed with the biggest losers of the rules changes being "common law" partners who still potentially receive nothing from their partnes estate upon their passing away. The rules of intestacy now in force (October 2014) won't affect people with property and investments worth less than £250,000 but if your total assets, or 'estate' are worth more than this, the effects could be significant. The huge rise in the price of UK homes, as well as several years of excellent stock market and bond market returns mean many people have estates worth more than the nil rate band and therefore that they should write a Will. 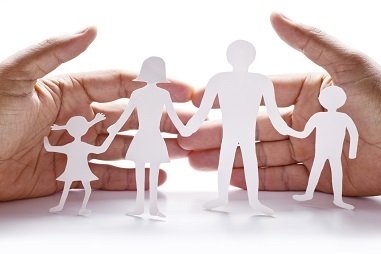 Where there is a spouse or civil partner, then in an intestacy, the spouse may be left with no more than £250,000, the remainder going in trust for the children. For many who have not made Wills, and who have assets worth more than £250,000, reading this list of who will benefit from your wealth could be shocking enough for them to get on and write one! Or perhaps the motivator for those with large estates could be the fact that by 2018, it is estimated that the UK government will take nearly £6 billion in inheritance tax, mainly because people have failed to plan their estates to minimise UK inheritance tax. In its survey, the Law Society asked people why they had drawn up a Will. The answers ranged from, one respondent saying he wrote one after nearly dying in a hotel swimming pool whilst on holiday. A more popular reason was so that estranged wives or husbands wouldn’t get anything and a high number of people had written a Will after they had got divorced. Despite the intestacy rule changes, it remains the case that the only sure way to make sure your wealth passes to whom you want it to upon your death is to make a Will. Even if you have few assets, the extra effort for relatives of having to prove that there is no Will adds unnecessary burden and expense – at a time when they’re already suffering from bereavement. And finally, it is worth pointing out that for Britons living overseas, you will not only need a UK Will, but you should also have one for each country in which you own property or have assets to ensure your loved ones are looked after in case you are not here.